It’s not likely that many, if any, readers of this column were around during World War II, but perhaps your parents or grandparents were. If so, then they most likely remember a show on the NBC Radio Network called I Sustain the Wings. 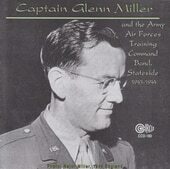 The show’s eponymous theme song was composed and performed by Captain Glenn Miller, whose orchestra was one of the most popular bands of the era. The program featured Miller’s orchestra performing the hit songs of the day, which helped to lift the spirits of those at home and our forces on the front lines. The title, I Sustain the Wings, was the motto of the U. S. Army Air Corps Technical Training Command, for it was up to the technicians to keep the planes “in the sky above / where they fight to victory”, as the lyrics go. The song slipped into obscurity until the 1990s when it was released on a series of albums titled The Secret Broadcasts, in which many of Captain Miller’s wartime radio shows that were recorded for broadcast to the Allied forces were unearthed and re-released. It was a treasure trove for those of us who enjoy the Big Band sound of the thirties and forties. The distinctive rising fourths played by the string section in the theme are evocative of aircraft ascending into the wild blue yonder and takes you back to that era, when the world was in turmoil and everyone was pulling for the Allies to beat back Hitler and his extremist Nazis in Europe. Everyone pitched in – Captain Miller left a successful civilian music career behind to join the Army and lift the morale of our fighting forces. My father served in the Army Air Corps (the predecessor to today’s U. S. Air Force) and my mother was a Rosie the Riveter. This was many years before they met. What does any of this have to do with Scouting? Today? I thought of I Sustain the Wings because it is a good description of what we do as Scouters. One of the Scouts in our troop whose Eagle Scout board of review I was honored to serve on was in the news this past week for a very notable achievement, and it reminded me that, while he fulfilled the requirements for the rank of Eagle Scout, it was the troop and its leaders who made it possible for this young man to fly with the Eagles who came before him. 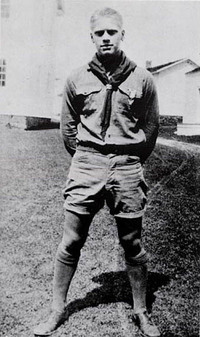 Scouting started as a youth-led activity, in a very ad-hoc and disorganized manner, but as time went by, the need arose for adults to rise to the occasion to facilitate the things the boys wanted to do but just couldn’t do for themselves yet. We make it possible for them to experience Scouting. We don’t do for them what they can do for themselves, but we help to build and hold the perches that they ascend to with each rank, and sustain their wings when they reach the Eagle Scout pinnacle. A Scouter friend reminded me this weekend that our role as parents is to give our children roots and wings. The roots anchor their values and establish character, while their wings let them soar as high as they can go without us holding them down. These are the two greatest gifts we can give our children. And as Scouters, the gift we give the youth is to make it possible for them to fly as high as they wish to go. We sustain their wings! Previous PostPrevious Ask more questions! Next PostNext The whaty-what of what?